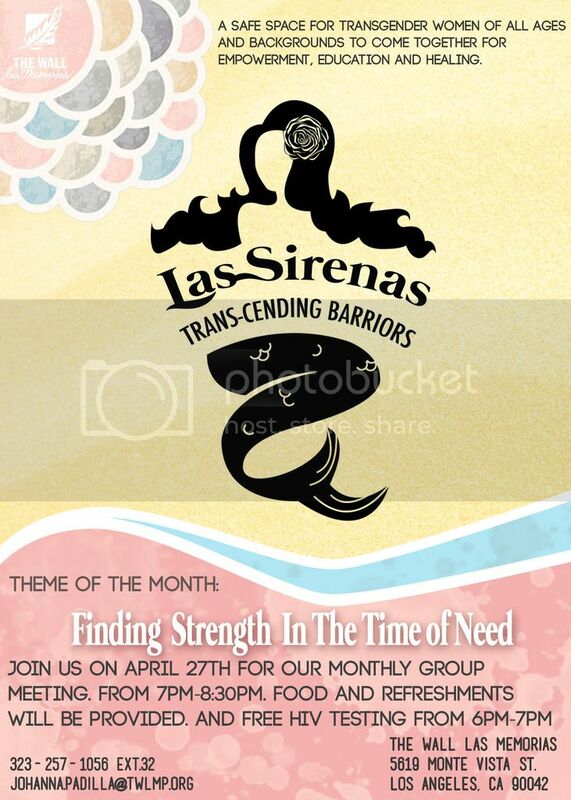 The Wall Las Memorias Project is launching its first transgender-women empowerment support group connecting culture, spirituality, health and wellness for transgender women of color. The support group will take place at our Highland Park office (5619 Monte Vista St., Highland Park) on Wednesday, April 27th from 7:00 p.m. to 8:30 p.m.
>>Free food & refreshments will be provided! >>HIV testing from 6:00 p.m. to 7:00 p.m.